For the past couple of winters our volunteers have been hard at work planting a 7.4 hectare of old plantation woodland and replacing it with a native broadleaved woodland full of oak, rowan, hawthorn, willow and alder. There is still plenty of planting to be done as well as keeping an eye out for neighbouring invading Rhododendron. 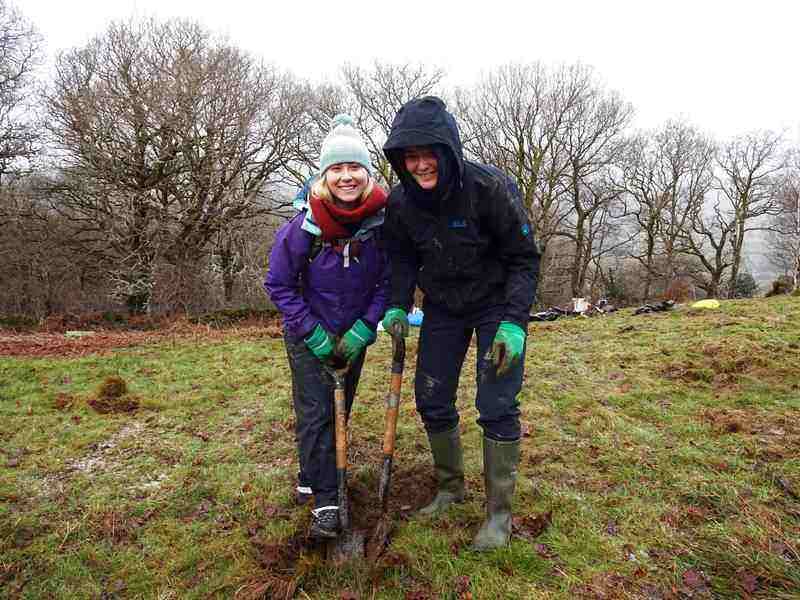 So grab a spade and reduce your carbon footprint by giving something back to Snowdonia, a place we all love.